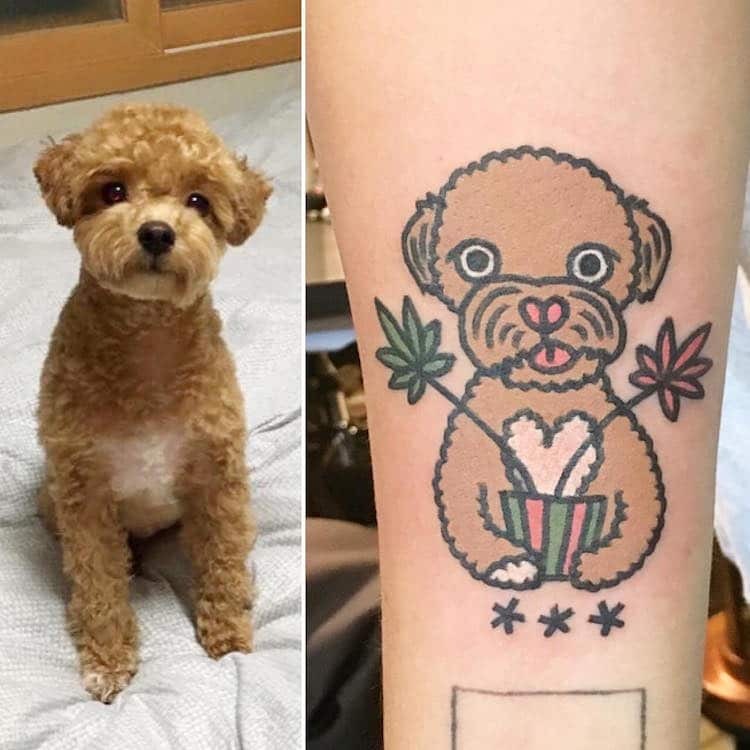 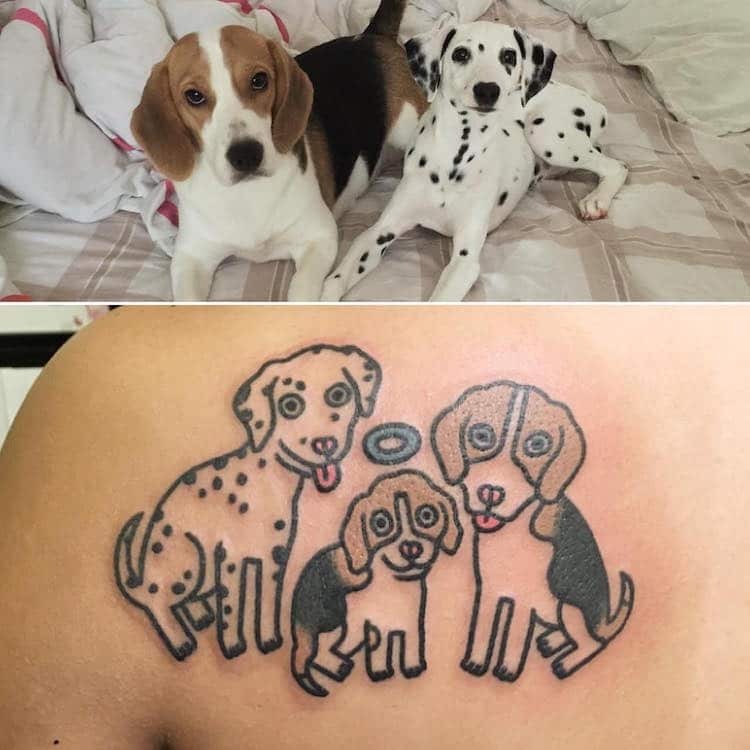 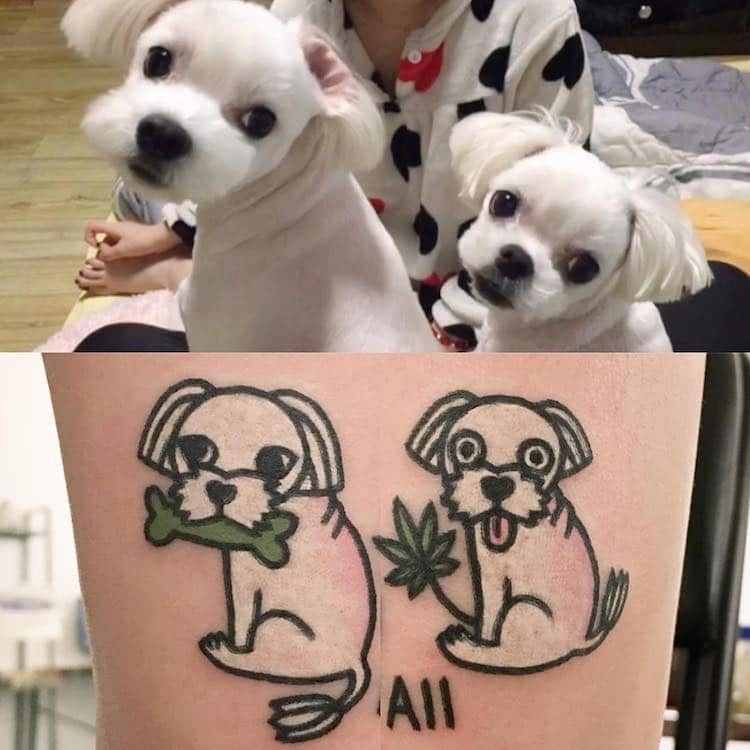 Like many tattooists, South Korean artist Jiran is often commissioned to create ink inspired by his clients’ beloved furry friends. 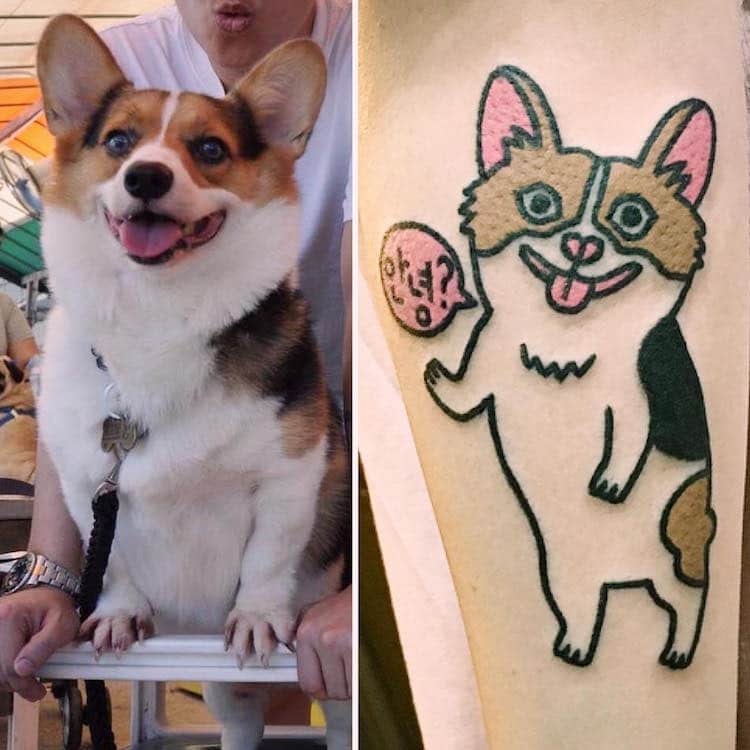 What sets Jiran’s animal-inspired art apart from the rest, however, is a highly imaginative and deeply distinctive approach to portraying pets, which is characterized by his quirky and cartoon-y style. 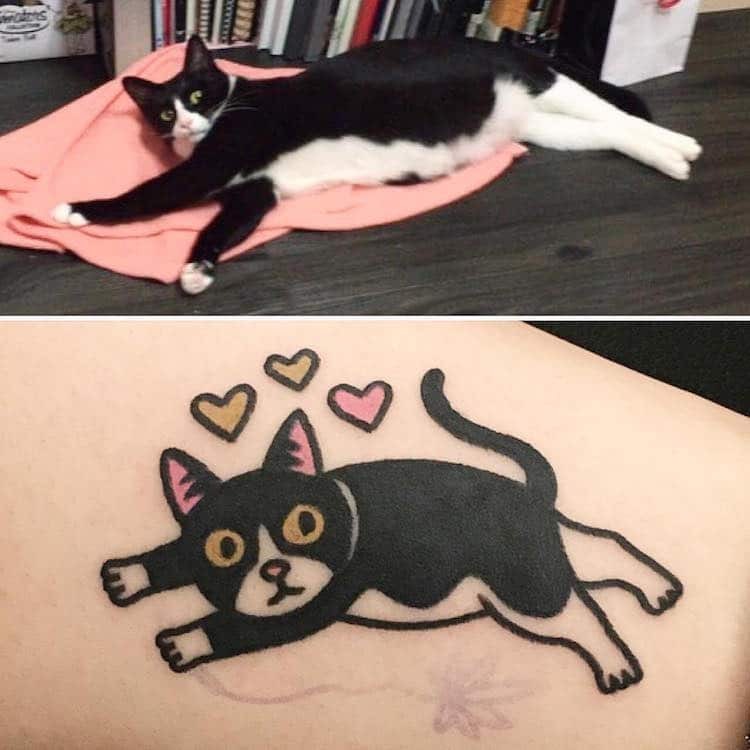 Featuring bold, black lines and a minimal, mostly neutral-based color palette, Jiran’s collection of commissioned pet tattoos is stylized yet simple. 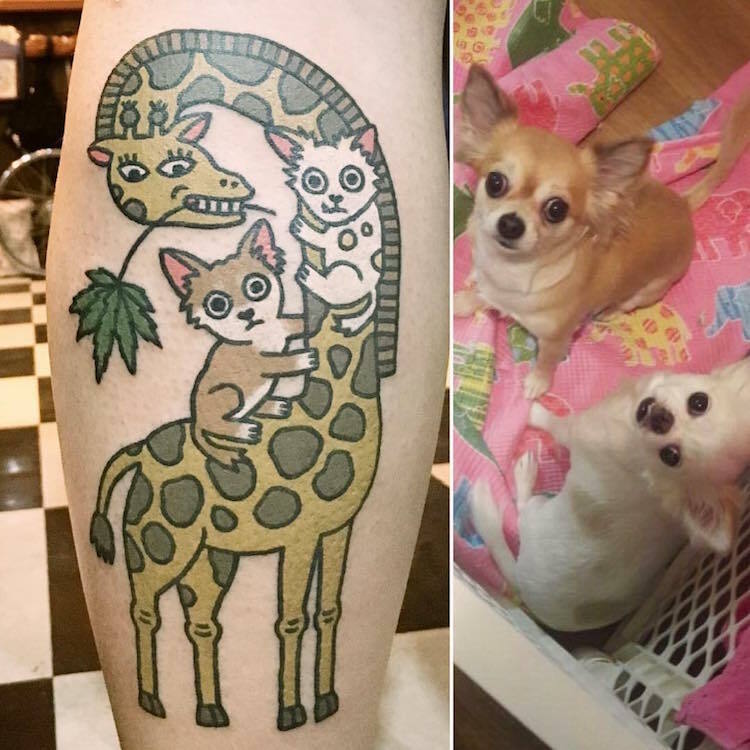 The artist works from photographs to complete the depictions, which range from silly yet straightforward portraits to scenes rooted entirely in fantasy—this includes 2 Chihuahuas hitching a ride on a giraffe’s neck, a talking Corgi, and numerous animals proudly holding plant-based props. 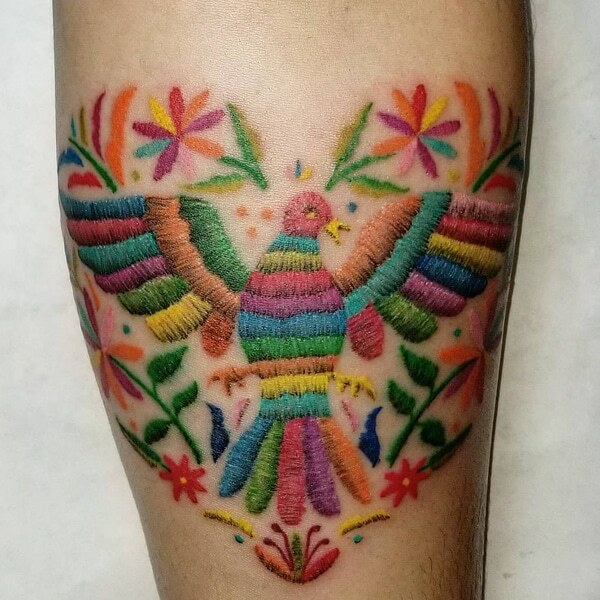 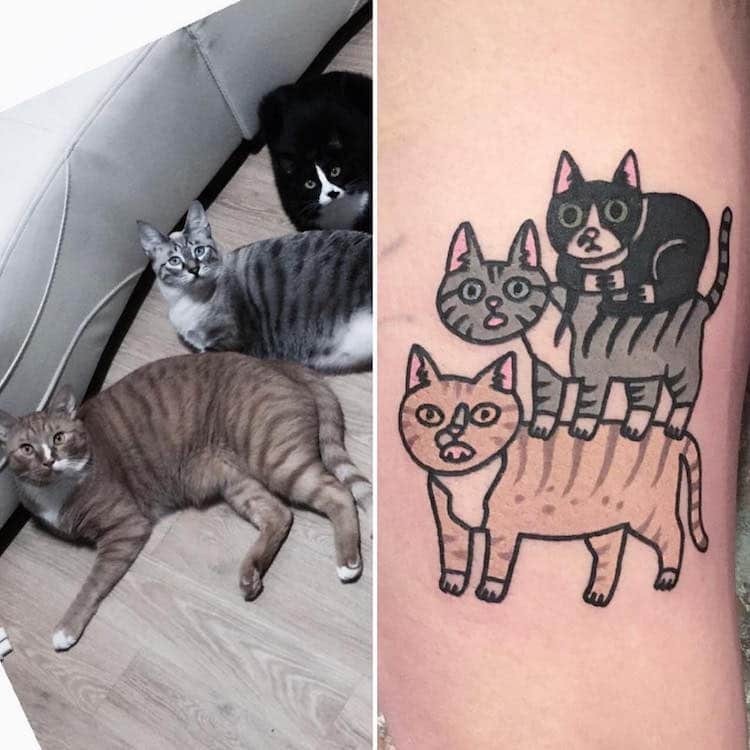 Whether unadorned or compositionally crowded, Jiran’s cartoon-inspired pet tattoos showcase his understated talent and unbounded imagination. 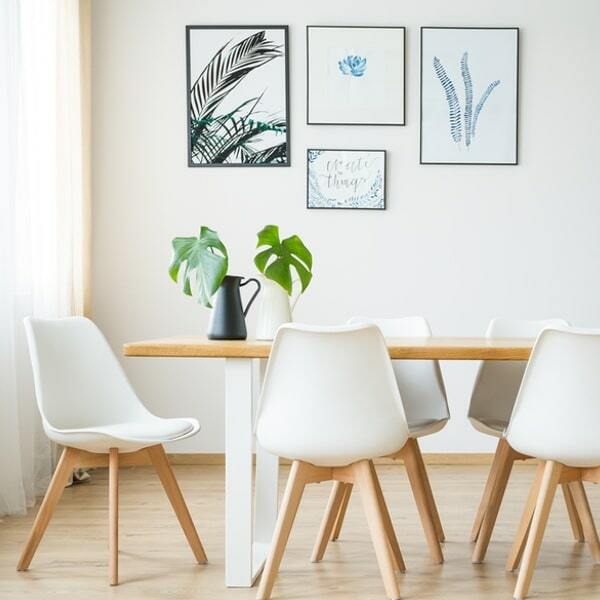 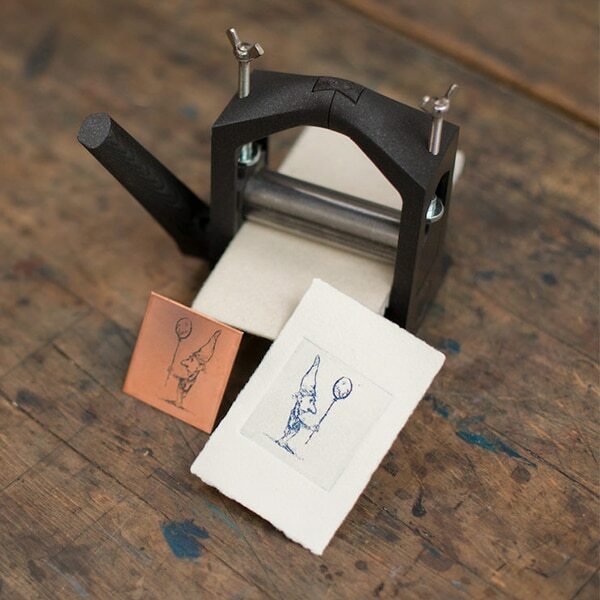 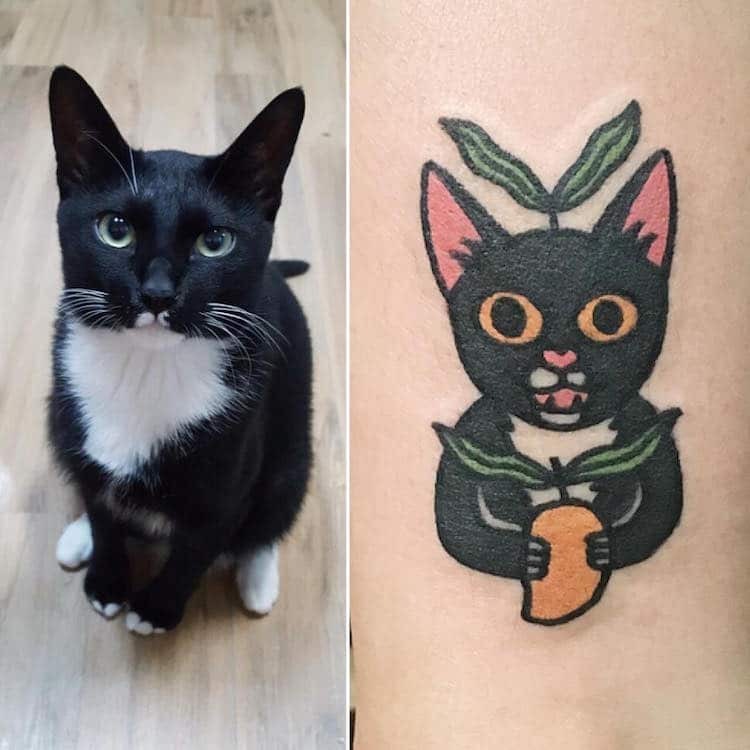 Though their characteristically cute aesthetic is one reason Jiran’s pet pieces are enjoyed by tattoo enthusiasts and animal lovers alike, his attention to detail has also won everyone over. 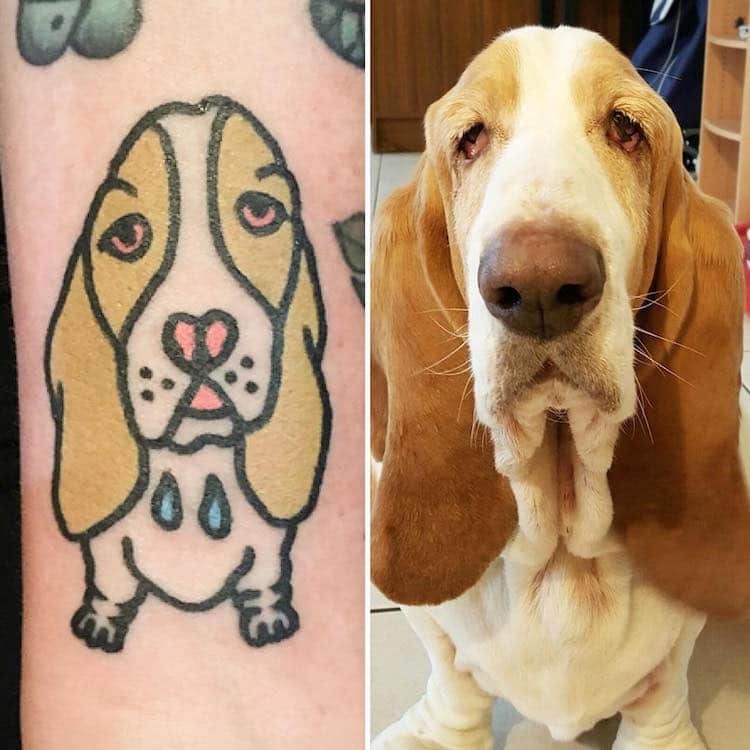 When placed beside photos of their subjects, the finished works of art illustrate the artist’s knack for perfectly capturing each pet’s individuality. 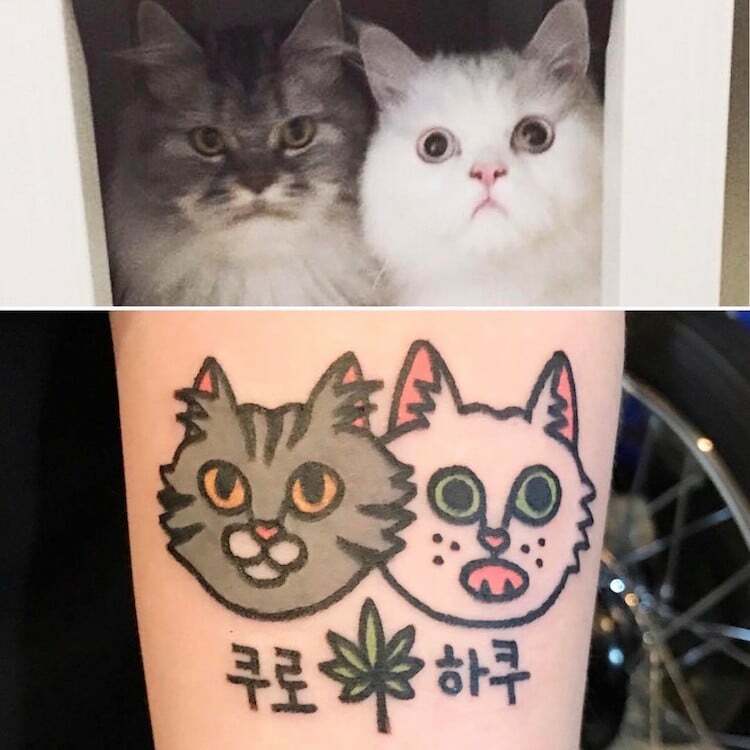 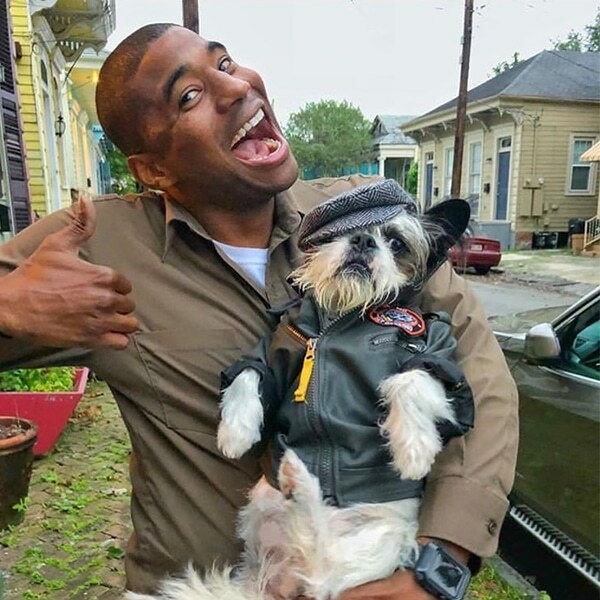 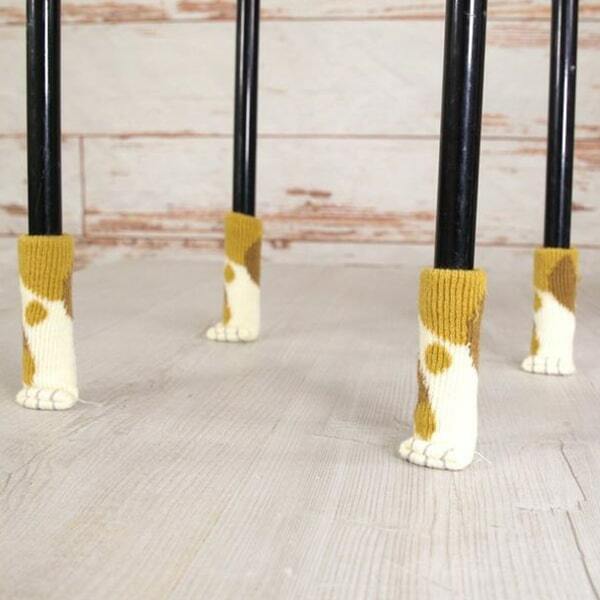 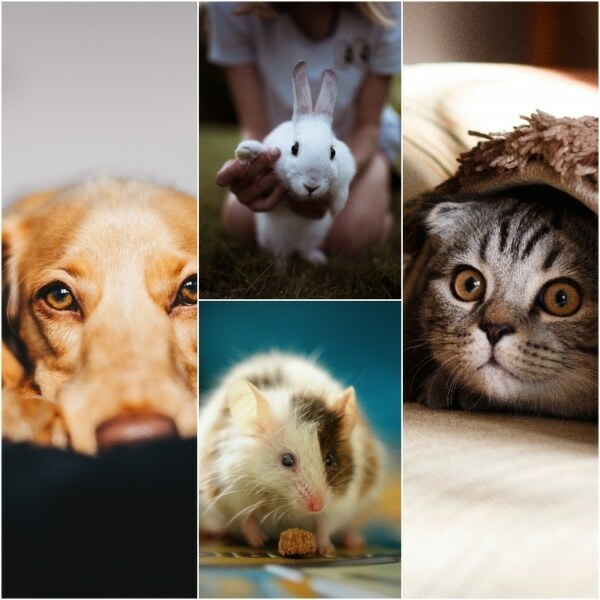 Whether it’s a Shih Tzu’s different-colored eyes, a black-and-white cat’s distinctive markings, or a hound’s adorably asymmetrical face, Jiran’s effort to personalize each portrayal is a testament to both his love for the craft and his purr-spective on pets. 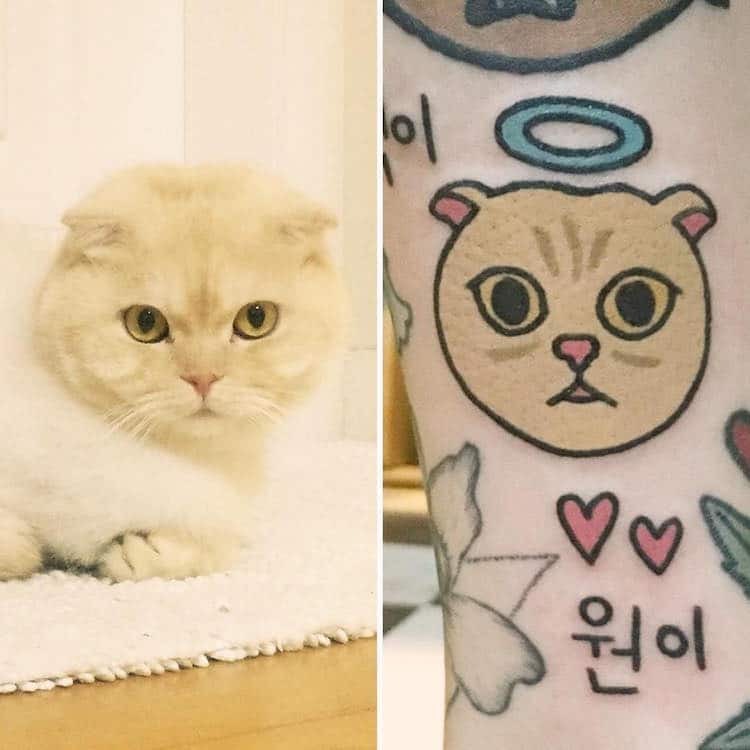 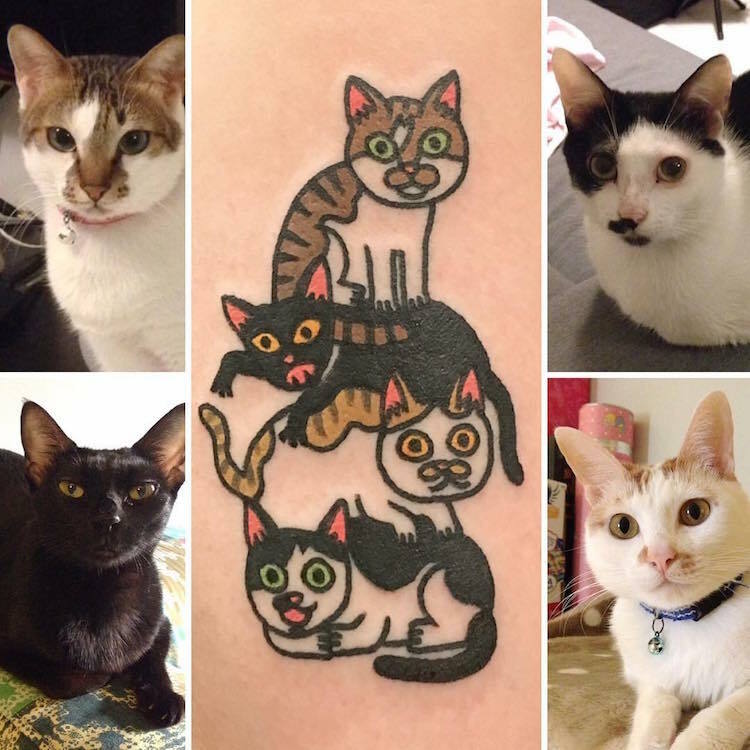 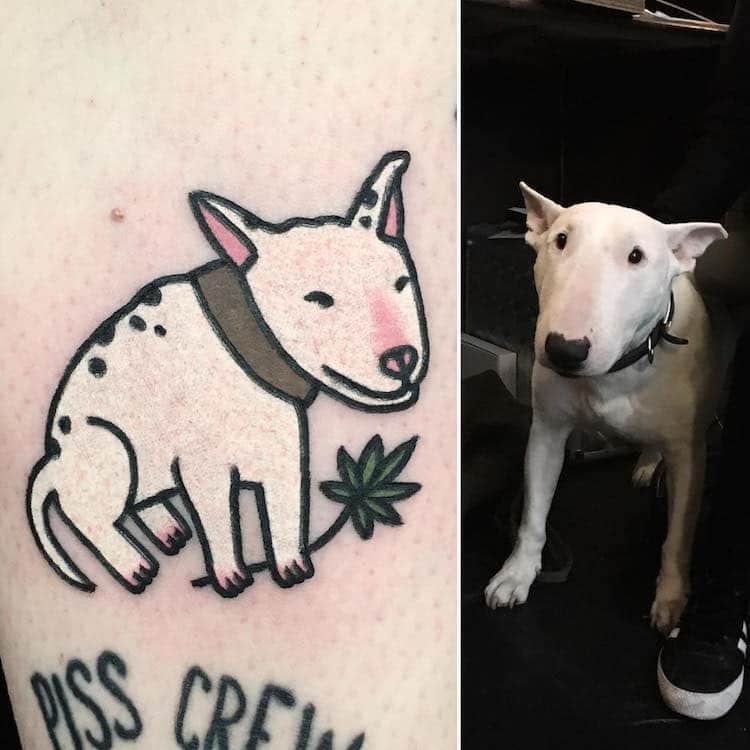 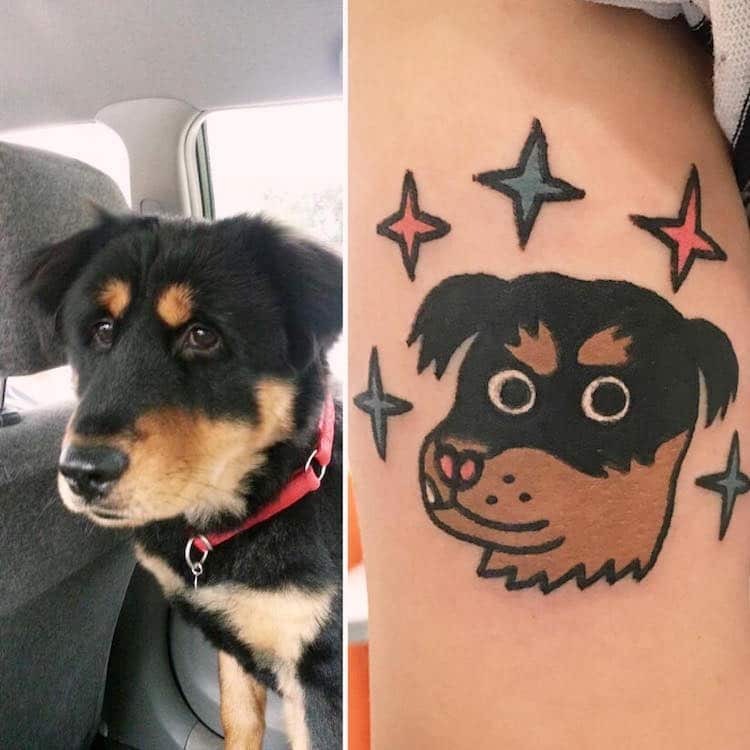 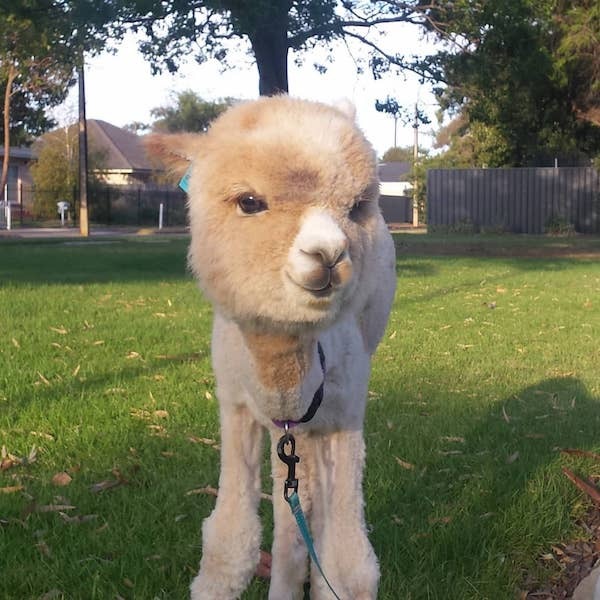 Scroll down for a selection of Jiran’s cutest cartoon-inspired pet tattoos. 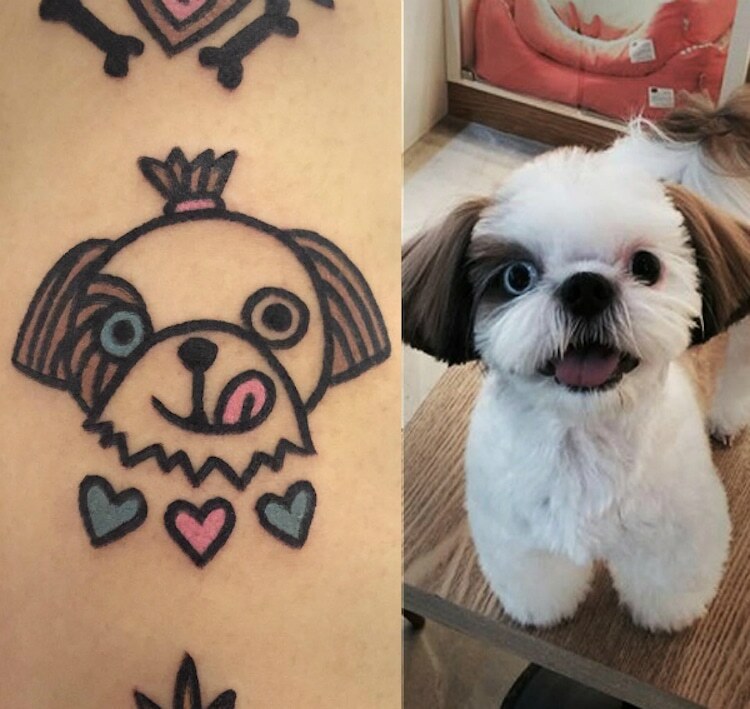 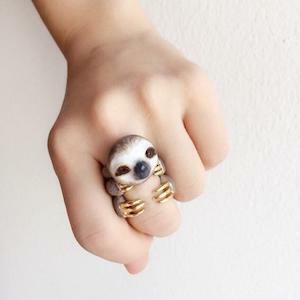 Would you get one of these totally cute tattoos?